I believe that diet, alongside of other therapies, can play an extremely important role in healing the body of cancer. And more specifically, I believe that one of the more important parts of that diet should include bone broth. Let’s think for a moment…what if your grandma was right?! Seriously, what if that chicken soup really WAS good for the soul? I know that it always made me feel better when I was sick. And to this day, people still correlate chicken soup with being ill.
And what is chicken soup…is it the chicken? The veggies? The broth? Actually, I think it’s a combination of all 3 that gives this super food a reason to be in everyone’s daily routine for better health. Make the soup from bones, such as beef, poultry or fish. Cook it over a long period of time, 12-48 hours. Flavor the soup with vegetables and fresh herbs for added nutrients and taste. After cooking, strain the liquid broth and store in the fridge or freezer. Then, consume the broth as a warm beverage, a base to cook legumes and grains or for a favorite soup or stew. It’s super easy to make, especially when using the carcass of the previous night’s dinner. And if there is no time to prepare the broth, simple freeze the carcass until there is the opportunity. Did you know that 80%-90% of a person’s immune system is located in their gut? Think about this for a moment…what someone eats goes into their gut. This then contributes to the integrity of their immune system. Therefore, it is essential that they choose their nutrients wisely and eat with a purpose, right?! 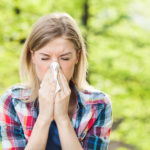 In addition, when someone is suffering from an illness, infection or chronic disease, it is really an attack on their immune system in the form of inflammation in the body. Therefore, it is essential to incorporate anti-inflammatory nutrients into their diet through food and supplementation in order to heal their immune system. Well, bone broth directly supports a healthy immune system, as well as, significantly increases the digestibility and nutrient content of those otherwise difficult to digest foods. Are you one of those people who has a love/hate relationship with your gut…you LOVE eating and HATE how your gut reacts to the foods you just ate? Well, because the most common understanding of the gut is that it receives and absorbs the food a person eats and turns it into nutrients which keeps them alive, let me explain the ‘hate’ aspect of the relationship. 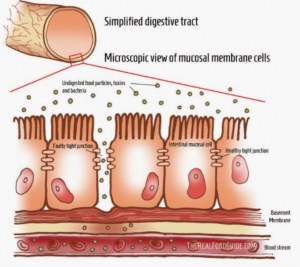 The gut is surrounded by a thick mucosal lining that is intended to keep specific nutrients in and only allow the necessary, digested nutrients into the blood stream. In fact, it is similar to a resistance band that physical therapists use for rehabilitation. The ‘band’ stretches over the top of the brain, continues through the body, surrounding organs and glands, and ends around the urinary tract. This lining then acts as a protective barrier from any toxins absorbed through the skin and prevents any undigested foods or bugs from slipping into the blood stream. Think of this way…a soldier has been at war for 72 hours straight with no sleep, no food and in continual intense gun battle. The air they are breathing is so thick with smoke that it is difficult to see anything. And in a self-defense reaction, the soldier begins shooting at anything and everything that comes in because of their exhausted, delirious state. This is similar to what would happen to a person’s immune system! When there is a constant assault of undigested foods and bugs getting into the blood stream, the white blood cells (soldiers) become so delirious that they begin attacking everything, good and bad! And the result…an autoimmune disease. So…can you even imagine the gut and mucosal lining disruption from chemotherapy, steroids, antibiotics, anti-fungals and radiation? And with the understanding that many of those medications may be necessary to treat the disease, it is crucial to do whatever is possible to help preserve a person’s future health by proactively using the diet to cure cancer and support the gut! So, how does bone broth help this raging war happening in the body? Well, the gelatinous properties that naturally occur in the joints and connective tissues found in the bones are drawn out in the cooking process. These nutrients patch up the holes in the mucosal lining. In fact, because of this, broth has been successfully used in the treatment of many intestinal diseases. These include IBS, Crohn’s, Colitis and Rheumatoid Arthritis. 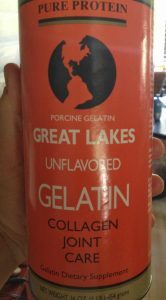 In addition, the abundant gelatin found in homemade bone broth is an incredible digestive aid. It helps to stimulate the production of stomach acid, which is necessary in the breakdown and absorption of proteins and minerals. Many people fighting disease, especially cancer, quickly lose the ability to properly digest their food. Their body is in a constant sympathetic (stressful) state and combined with the laundry list of pharmaceuticals they are taking, producing stomach acid is a challenge. In fact, I have received endless emails from other cancer moms who are concerned about their child’s eating challenges during treatment. 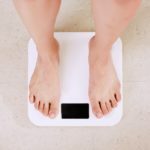 They are continually losing weight, constantly throwing up or are severely anemic. And sadly, they are on subscribed antacid medication, which is actually further suppressing the stomach acid necessary to digest protein. Honestly, it is no wonder that these children being forced to eat anything is such a task…their little bodies no longer have the raw materials needed to digest food! However, bone broth is a very effective and gentle way to stimulate digestion and calm the stomach. It is loaded with the nutrients needed for a growing child (gelatin, calcium, magnesium, potassium and other important minerals). Plus, it is loaded with some essential amino acids. Amino acids are the building blocks of proteins, which are one of the most important aspects of a person’s immune system. It has been suggested that the administration of extra amounts of proteins containing an abundance of glycine (such as gelatin) will help the work in the liver. This seems particularly plausible since the recent work of Quick, who has show that the ability of the liver to perform this protective synthesis is limited by the amount of glycine available. 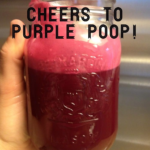 In other words, not only will Glycine promote healing, but it will also help the liver detox. 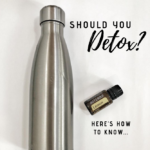 And with the lack of attention to the absolute need to detox after receiving rounds and rounds of cyto-toxic drugs (chemotherapy), bone broth provides an easy way to begin supporting the bodies’ own ability to detox. As previously mentioned, many cancer patient’s bodies are so disrupted from the overload of medications that their body loses the ability to properly function. They need the raw materials to do that. A sour stomach isn’t a Pepcid deficiency. The inability to fight a bacterial infection isn’t a Septra deficiency. In fact, those are symptoms that the body is lacking the raw materials to do its job! So how do we get those raw materials back? In my study of anatomy and physiology, I am reminded that if a specific organ or gland needs support, then we should consume that same ‘organ or gland’ from a healthy source. And no, I am not talking about cannibalism! Although, that would have made for a super interesting and dramatic twist to this otherwise boring post. I am actually talking about therapeutic healing from pasture raised animals. For example, when I have a client experiencing severe adrenal fatigue, I give them pharmaceutical grade nutrients that include desiccated adrenal glands from a healthy pasture raised animal. And when I have a client suffering from poor thyroid function, they usually see incredible progress through supplementing with thyroid nutrients from a healthy, pastured raised animals’ thyroid gland. So for Leukemia, which is a cancer of the bone marrow, I was insistent on Kicker consuming plenty of bone marrow. The marrow provides the raw materials for healthy blood cells and immune development. In fact, the gelatin components of bone broth coming from marrow have been incredibly successful in the treatment of anemia and other disease of the blood, including cancer. And after 16 rounds of chemo in almost 3 months, my 3 year old little fighter has yet to experience any side effects from chemotherapy. I believe it is nothing short of a miracle and thank God! I am especially grateful for the knowledge and resources we have for diet, detox and alternative therapy for cancer to support our son in the battle of his life! The current study, therefore, presents evidence that chicken soup might have an anti-inflammatory activity, namely the inhibition of neutrophil migration. This is particularly good news for any individual with chronic inflammation, autoimmune condition or cancer. 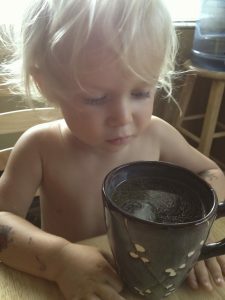 For other specifics on the nutrients in broth, read here. Place chicken, feet, apple cider vinegar, onions, carrots and celery in the pot with purified water. Let sit for 30 minutes to allow the raw apple cider vinegar to draw out the bones' minerals. Skim the impurities that have risen to the top of the stock pot. Reduce the heat to a simmer and cook for 12-24 hours. Add sea salt and parsley at the end of cooking, about 20 minutes prior to turning the heat off. 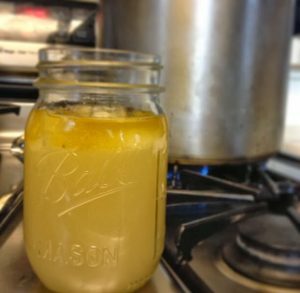 Strain the liquid through a sieve and store in glass mason jars. Store broth in the fridge for up to a week and in the freezer for a few months. We prefer chicken bone broth over others. It has such a soothing, smooth taste and is particularly calming to the tummy. However, you can use the bones from any healthy animal. I recommend using an organically raised, pastured animal that is grain-free and antibiotic free. The quality of healing will be a reflection of the quality of food we are eating. So, choose wisely! Ideally, you want your broth to be the consistency of jello when cooled...the jigglier the better. This ensures that it is full of nutrient dense gelatin. Warming it up will melt the consistency back to a liquid to be easily consumed. To help, I created this video to show you how easy it is. Enjoy! Prev Post Is Raw Milk Safe? Should You Detox? 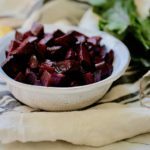 Here’s How to Know Guest Post: 3 Tips to Safely Detox in All Stages of Life Beet Kvass Guest Post: Should You Take Your Allergies Seriously? Want to Lose Weight? Take Out the Trash! Can you refreeze it more than once? Being just 1 person family so much goes to waste because I can’t eat it fast enough. Maybe I will have to freeze in littlier jars? Can you do this in a crockpot? Don’t want to leave the stove on overnight? Yes, just found your website few days ago. I have multiple mypelomoma,bone cancer. I have decided not to do chemo or radiation. I need any guidance you can give me. It will be greatly appreciated. I was diagnosed in January 2018. Hi Christy – I am so sorry to hear of your recent diagnosis. If you will email us over at info@seasonjohnson.com, we will be glad to send you some information that will help. Thanks! Hi Season. 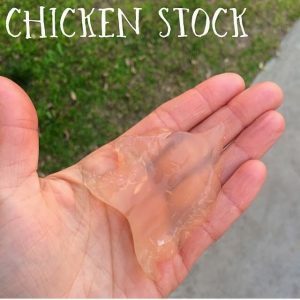 I have a couple of questions regarding your bone broth. I have always heard that you need to use just the bones, and that they need to be roasted first. What is your take on that? Hi Teresa – Yes, you can roast the beef bones before making the broth, and I would suggest trying the chicken broth…that taste is a bit easier to handle than the beef for some. You could make a broth style latte…add butter or coconut oil or coconut milk with a pinch of sea salt and blend it up. Some enjoy the taste of this “latte” more. I would also be trying to add it in to soups, cook your veggies in it or just “hiding” it in to your recipes to make it more enjoyable for him. Hope this helps! My 11 year old son blood work came back with high thyroid antibodies. We have made a lot of changes and are trying various things. Where might I find a good thyroid supplement? 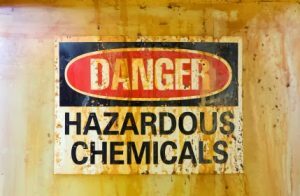 I’m trying so hard to prevent hormone disruptions. Thanks so much for your time! Hi Desiree – Have you checked out this blog post? https://www.seasonjohnson.com/8-ways-to-heal-the-thyroid-naturally/ It gives some great ways to support the thyroid naturally. Hope this helps!